Established in the millennium year 2000, founded by the years of experience of Mr Unnikrishnan Cholayil, the Chairman of UROGULF - is India’s most desirable and fastest growing certificate attestation firm in India and Gulf , serving for the complete solution under one roof. Genuine attestation, safety handling of documents and prompt delivery are just three of the reasons why UROGULF reigns supreme in the world of Attestation. Customer satisfaction is our first and foremost priority. UROGULF is the pioneer of Certificate Attestation. It has embarked on the growth path and marks a significant milestone when it started the MOFA (Ministry of Foreign Affairs) Attestation from UAE and Kuwait. 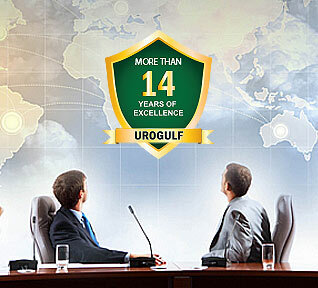 UROGULF believes that no one can ultimately achieve success without teamwork. We believe teamwork must be achieved on all levels both within our organization and in the relationships we foster with our clients. UROGULF today is India’s most respected attestation firm operating with more than 119 branches all over India as well as abroad like UAE, Kuwait, Oman, Qatar, Saudi, Bahrain etc. Major attestation companies abroad are keen in utilizing our services to fulfill the needs of their clients. Apart from attestation, we deal with VISA related matters, Passport work, Manpower recruitment, Ticket booking, Real estate, Grow with Urogulf. The list is endless. We take up entire job as per the specific need of our client. UROGULF has emerged as a successful and vibrant enterprise, riding high on a simple philosophy of retaining loyalty and enlarging the fold of satisfied customers. We have a very strong domestic base and a well recognized international presence. We are always working for betterment as we understand customer’s requirements better. Going forward we are focusing on new technologies and innovation to drive our business in India and internationally. With the centennial year in sight in 2010, UROGULF tries to better its own records in matchless service, creative ideas, excellence in foundation and passion in winning. We have a clear vision and passion to provide complete solution under one roof. We assist and provide superior services according to our customer’s requirement like economical prices, timely delivery and safety handling of documents. Our Logo UROGULF formed in red and green itself signifies that people blankly walk into our office with lots of expectations and always go green with solutions beyond their expectations. UROGULF is where you get the feel that it’s for your need. - It can be anything - Authentication/Legalization or Apostille of your sensitive documents. We are a world class enterprise managed by talented professionals. Our Customers are our valuable asset. We believe in fair play and our Mission is to achieve Excellence in Service. Our talented team will not only attend to all your requirements but will also be at your service in case of any troubleshooting. It can be authentication or Apostille service. It can be Real Estate, Investment or Placement service. It can be any segment. We will be the partner of your choice.We are operating everywhere - be it a small town, metropolitan city or gulf countries. We treat every milestone achieved as a stepping stone to our further growth. Our Mission is to grow extensively without compromising in quality. We will continue to operate in all categories catering to different segment in the market.The term GROW WITH UROGULF is applicable to you and to millions who would like to join hands with us. We seek to be the most preferred employer wherever we operate. Experienced staff , professional service.I'd definitely recommend urogulf to my friends.